Last week, our vote was a tie. Usually what we do in these situations, is roll a die for odds/evens and whoever calls it gets the one they choose. This time, Timlah said to Joel: “I think we can do this”. Lo and behold, we managed it. 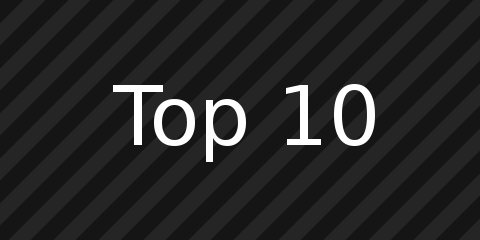 We combined the tied votes to create a brand new Top 10 that you all voted for. Perhaps the will of the people wasn’t to do this, but the votes sent us this way. Flamboyant characters can be hard to judge: they’re often more than just a bit player in their franchise. Often they’re scary, in fact, they’re usually a little bit ominous. They stand out in a realm of “the norm”, they dress fancy, they talk differently and their minds are wired in a very unique way. They’re dangerous but fabulous, they’re ominous, they’re flamboyant… they’re in our Top 10 Flamboyantly Ominous Characters list! In the height of the late 90’s and the early 00’s, we had the Pokemon anime and the Digimon anime running concurrently and it was incredible. It was a rivalry and everyone in the school grounds picked a side. You were either in the popular, slightly more kiddy camp with Pokemon, or you took the slightly grittier Digimon. There wasn’t much in it, at least back in the original series, but as time went on, the differences between the two became really apparent, at least in visual content. Now, over 15 years later, Digimon is still going strong, along with their rivals. But whilst Pokemon has been going from strength to strength in their games, Digimon has been hitting back with their films. Now you see me, now you don’t! Well you do, only I look like I’m someone completely different now. Hush, I can be exactly what you’re looking for, or become your worst nightmare. Yes, I’m a whole different type of beast; the kind who would rather walk right up to you and change before your very eye than to stalk you and take you out from the shadows. Roll up, roll up! Ladies and Gentlemen, it’s my astute honour that today we’re inviting you into our fine tent to show you a menagerie of mind-boggling clowns and jesters, all for your entertainment. Some of these are naughty, some are nice, but if you’ve got Coulrophobia then this might not be the Top 10 for you. Yuck! Some enemies in video games are just downright disgusting. Sticky, smelly, slimy, grotesque… You name it: They’re at least one of these! But never fear, we thought we’d delve into the realm of the ugly and the vile, the gross and the gruesome. Just to make the rules of this list as clear as possible: The enemies in question must be disgusting. This can range from being visually disgusting, metaphorically disgusting or even disgusting in flavour (no, we’re not on about their actual taste but what stories they may have behind them). This weeks Top 10 was chosen by you, so join in with choosing our next list at the end of the article! Yes, it’s true. We have a bit of a soft spot for those cuddly looking maulers, bears. In gaming, they can be an intimidating force to be reckoned with… Or they can be one of gamings best running gags. Join us as we list our personal top 10 bears in gaming. 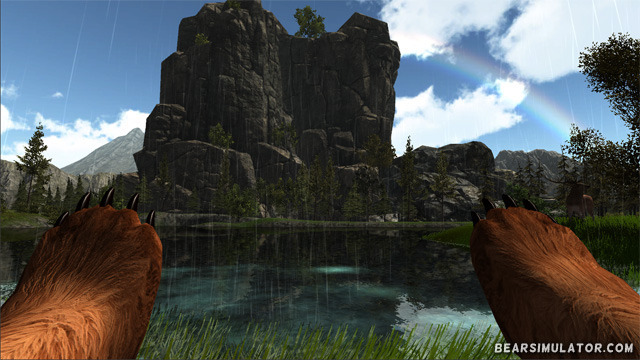 Originating from Kickstarter, Bear Simulator reached a staggering pledge of $100,571 out of a target goal of $29,500. All of the money would go towards paying for better things, as the base of the game itself was already made. Animators, models and more would still need to be bought and made, so off to Kickstarter this bear game went. I could BEAR-ly contain my excitement in knowing that there is a demand for being a bear. With a funky dance, the bears of World of Warcraft are always memorable. From the Darkmoon Dancing Bear mount, to the Druid bear form, there are plenty of ways to make bears dance. Of course, you could be like me and approach a druid whilst wearing the Piccolo of the Flaming Fire and force them to dance. … That didn’t sound good on my behalf, did it? Kuma and Panda are two separate characters in the Tekken franchise. Kuma does seem to love Panda, but more importantly, they are both pets to one of the fighters in the game. Kuma is the loyal pet to Heihachi Mishima and Panda is the pet and friend of Ling Xiaoyu. As well as having been in the Tekken franchise for some time, the cut scenes these two get are usually simply hilarious. After all, who’d expect the loyal pets to win the King of Iron Fist Tournament? Although as I always point out to my friends, why wouldn’t a bear win? An incredible board game from Asmodee sees the emperor of Japan tending his bamboo garden with his pet panda gifted to him from China. Players build up the garden, grow bamboo and feed the wandering panda, trying to complete goals determined by cards in their hands. 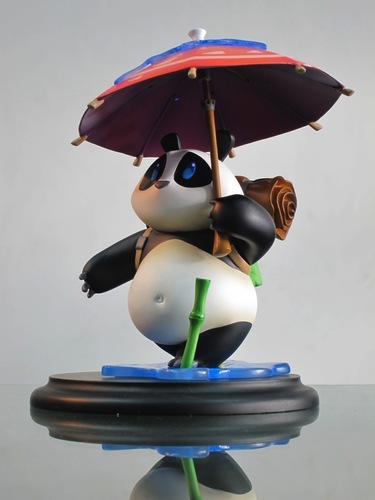 This game is incredible fun, really easy to play, and has a panda with an umbrella. Your companion in a big, scary world, this Teddy will be your friend. This game really captures upon the innocence of the child protagonist and the demons the child has to face. 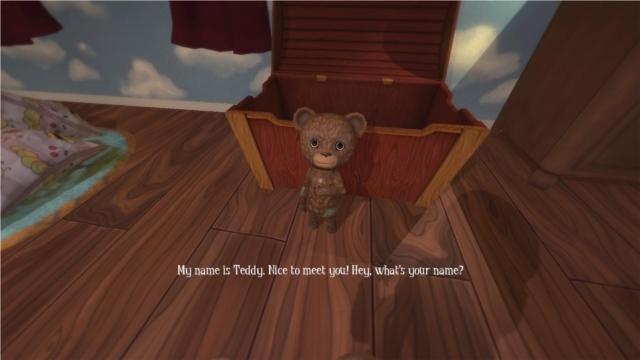 Being the only friend the child seems to have in this dark world, Teddy is always around to help the child through the terrifyingly large world around them. This game is riddled with symbolism in a very stunning way, so please do go and check it out. Whilst playing a game of Magic: the Gathering with one of the GeekOut South-West social event members, I noticed he had a rather peculiar deck. The whole deck was built around those lovely creatures that are bears. So all bears get +1/+1, all bears are vigilant, all bears are bears. Prepare yourself for the bearpocalypse! Ultimately, I can’t help but look at these token cards and smile each time. 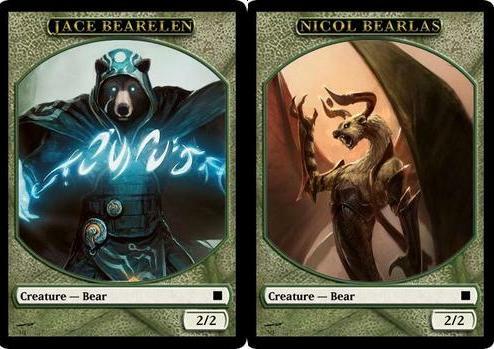 They poke fun at their own creations and make a bear deck look truly fantastic. Magic: the Gathering is well known for its witty humour, but I think with these tokens, you’ll just have to grin and BEAR IT! 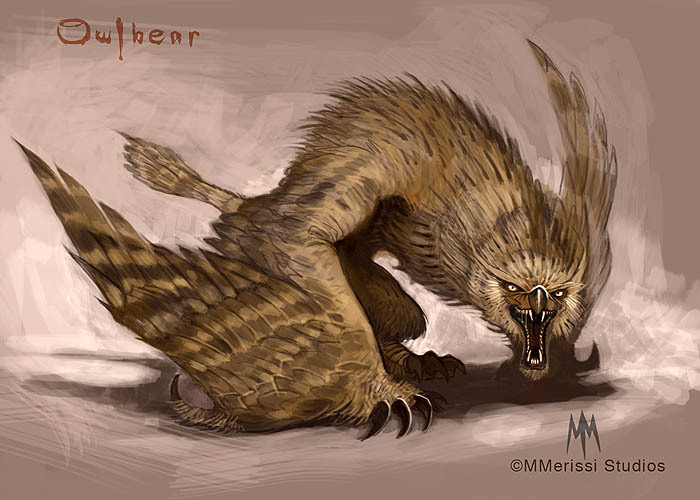 Staple hybrid monstrosity straight out of dungeons and dragons, I’ll see your hippogryph and offer you a bear with a beak and a terrifying shriek! Based on a plastic toy Gary Gygax himself found in a shop in Hong Kong that immediately entered his new game, the owlbear has not only been in the first monster manual of every edition, but it was also listed as the second best D&D monster of all time, knocked off the top spot by a giant cube of jelly. It’s also spread across dozens of other games in various forms. Also its’ bear hugs end in a pointy beak! A puppet Digimon who makes people around him feel happy with his cute body (and scary eyes). Monzaemon interestingly is named after the famous puppeteer, Chikamatsu Monzaemon. He is an Ultimate digimon and is exceptionally powerful. Whenever I played Digimon World as a kid, I used to always want to get my hands on Monzaemon as soon as possible, as he was able to do just about anything! After a certain point in the game, he arguably becomes one of the easiest to obtain ultimate Digimon, too. 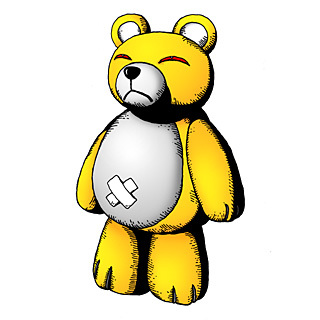 He has also been around since the very beginning of Digimon and has also been named “Teddymon”. Basically, I really like Teddymon Monzaemon! Originally an animation by YouTuber Bows, Dovahbear has actually become a playable mod in Skyrim. Allowing you to have your very own Dovahbear companion, who acts just like a companion and a bear, as well as having the shouts of the Dovahkiin. Dovahbear Fus-Ro-Dahs his way to our second slot on this list, as he started life as a series of animations and then he was created… And you wouldn’t be playing Skyrim to its maximum potential if you weren’t playing with your very own Dovahbear companion. Easily taking the number 1 spot of our Top 10 bears in Gaming, it’s Enviro-Bear 2000. This is a game where you drive in a car as a bear. You need to collect some berries and fish before quickly going to hibernate. The climate is getting colder so it’s your job to gather and eat as much as possible whilst wasting as little energy as possible. So the bear found himself a car and decided to drive around the forest to gather and eat as much stuff as he can. There are plenty of YouTube videos for Enviro-Bear 2000, but please, check out the above one by Markiplier just to see what Enviro-Bear is all about. We have two picks that are our honourable mentions for the top 10 bears in gaming. They didn’t quite make the cut for the top 10, but only BEAR-ly. 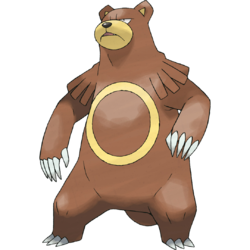 We wanted to like Ursaring more than we did, but we had to mention him somewhere on this list! We felt he deserved to be mentioned as let’s be honest, he looks like an absolute beast of a Pokemon. He has a great attack base stat at 130, which in Pokemon is really high! One of my personal favourite Pokemon, Haxorus, which has one of the highest attack stats in the game has 147 attack. So, for a much easier to get pokemon that’s a pure normal type (Immune to ghost moves) and loses that new found weakness to Fairy types, Ursaring is the beast for you! 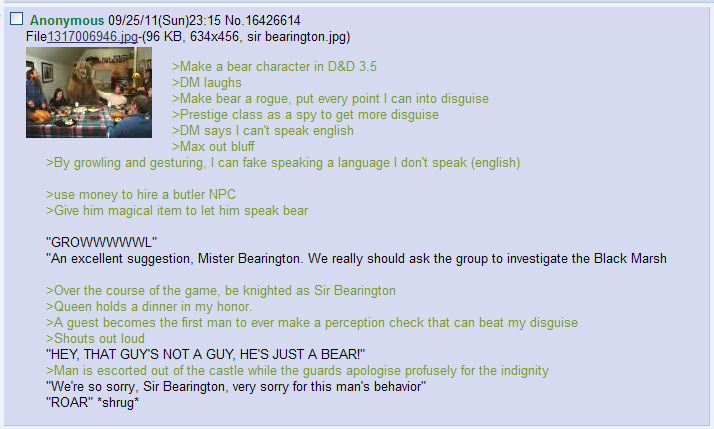 Sir Bearington is one of these stories in RPG that quickly became a legend. Originally just Bearington, a bear rogue with all of his points in deception and a butler who could understand bear, Bearington was knighted to become Sir Bearington! Now Sir Bearington is on top of the world, with people doing his bidding. I’m terribly sorry if you felt this post was a little… Un-BEAR-able. But don’t worry, there will be more articles like this in the future. I’d like to thank Joel for his help on this article, as he chose our number 4 slot – Owlbears and our number 7 slot – Takenoko. Do you think we missed any really awesome bears in gaming out? Do you like or dislike some of our choices? Why not let us know in the comments below? We’d love to hear from you!